Decorative Arts & Furnishings Auction — Harritt Group, Inc.
Maurice Fetz & Judy Carrico have sold their building and will sell their collection including furniture, antiques, collectibles, art & household items. Auction held indoors located downtown across from Floyd County Courthouse. French Louis XIV style ornate desk, Victorian settee, (2) oval back chairs & platform rocker, Duncan bookshelf table, wicker stand table, settee & 3 chairs, (4) deco art chairs, (2) vintage oak youth chairs, drop leaf table sectional & rattan sofas, cocktail tables, lunch table from Churchill Downs, Morris chair, (2) iron tables, trunk, iron baker’s rack, ornate gold pier mirror (From Chase Studio), metal desks, office chairs, bookshelves, assorted tables and chairs. Oak Silvertone upright wind up phonograph, 10’ pine country store counter w/cash drawers, (2) cast aluminum yard jockeys, retro steel loveseat glider, (3) cast iron mantles, (2) 10’ reproduction cast aluminum street lights, woman mannequin, Bruce Fox bull platter & lobster dishes, (4) pieces of (Kerry & Joe) Zimmerman art glass, Miller Lite NASCAR hood, lanterns, vintage table floor lamps, iron & wood plant stands, ornate gold mirrors, dolls, Beanie Babies, decorative palm trees, decoys, metal storage racks, (10) old grocery carts from Wolf’s Market, wood animals, glassware, depression glass & more. 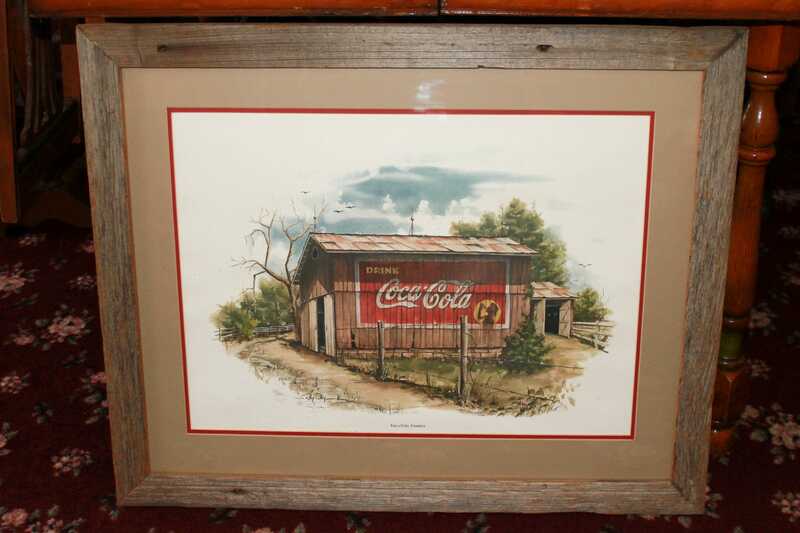 Ray Day framed Mail Pouch barn, Coca Cola Days & Rock City, selection of unframed Ray Day prints, Beatles’ posters, decorative prints & oil paintings. Like new Invacare Pronto M91 power wheelchair. Kenmore washer & dryer, like-new mens’ cruiser bike, Samsung flat screen TV, (2) fireproof file cabinets, Health-O-Meter scale, golfclubs, 30-year-old ficus tree, hand & yard tools, lumber, kitchenwares plus contents of showroom & warehouse. Located downtown on corner of West First Street & Market Street.